No matter where you are traveling in the world, we can all use some great travel tips. 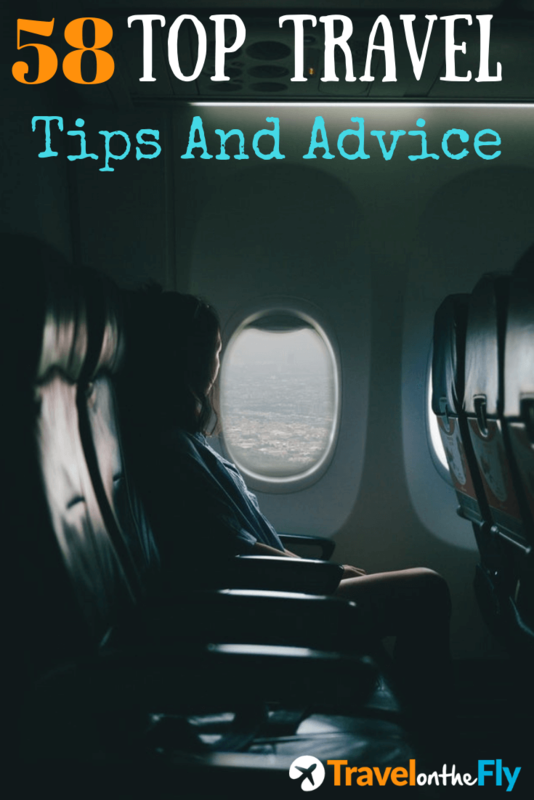 In this post, I will outline 58 Top travel tips and advice which will help you with your next trip or vacation. If you are traveling to a particular foreign country for the first time, then you should do your research about it. You should gather information about the country’s culture, learn more about their language, check out the prices of commodities, and more. By gaining valuable data about your destination, you can ensure to have a glorious trip whether it would be for business or leisure. Booking at the last minute may happen if you are traveling for business purposes. However, if it is for a vacation with your family, then you should book it ahead of time. Booking a trip ahead of time does not only mean saving more money, but it also means that you are able to plan it well. Some countries may require only a passport, while others would also require visas. It is best that you know your destination’s requirements regarding this so that you can prepare them beforehand. Keep in mind that these documents may take some time to acquire or renew. You should keep your documents in a multi-purpose RFID blocking travel passport folder. You can get one for a great price on Amazon by clicking the link. 5. Get vaccinated in time. There are some countries that may require you to get vaccinated for certain diseases, before granting you access to their land. Thus, it is best if you learn more about them so that you can make the necessary preparations. Get your vaccinations weeks or months before your travel date, so that you won’t have to rush. 6. Don’t forget to inform your banks about your travel plans. Telling your banks about your travel plans can prevent you from experiencing something inconvenient when it comes to using your credit or debit cards in a foreign land. This is because, some banks may put a fraud hold on your cards, once they realize that the cards are used overseas. By informing them where you would go, they can put a note on your account, so that you can continue using your cards, without hassles. 7. Bring a small notebook that fits into your pocket. Bringing a small notebook can come handy when it comes to traveling. With a small notebook or notepad, you can easily jot down important things that you need to remember along the way. You want to make sure that it fits into your pocket so that you won’t have to hold it in your hands all the time. 8. Don’t forget the numbers. When you travel, there are lots of important numbers that you want to take note of. Some of which would be your itinerary confirmation number, your flight number, your hotel room number, your flight seat number, as well as a bunch of phone numbers you may need. Write them all down in a notepad or a piece of paper that you can fit into your wallet, so that you can easily refer to it. 9. Double check your health and travel insurance coverage. Weeks prior to traveling, it is important to check your health and travel insurance coverage. This should be done in order to see whether it can provide you coverage while traveling or not. If it does not, then checking it early would provide you time to look for an alternative option, so that you would be covered just in case. I highly recommend World Nomads Travel Insurance. 10. Bring a carry-on bag with you. It is better if you can bring a small carry-on bag with you during the flight. When you do this, you would actually be saving some money, when it comes to baggage fees. Aside from that, it can offer you an easier way to keep track of your important documents and other important things, by putting them into your carry-on bag. The best carry on travel bag for airplanes can be found here on Amazon for a great price and meets airline specifications. 11. Don’t forget your computer files. If you have lots of important files on your computer, then you should back them up prior to leaving. This way, you wouldn’t be risking losing them while you are traveling. Make sure though that you keep your back up at a safe place, so that no one would be able to gain access to them. 12. Sign up with travel websites. There are lots of travel websites available today, which you can use to book flights, hotel, and car reservations from. To ensure that you would be one of the first persons to know about their travel deals and promotions, then sign up for their newsletter. By doing that, you are increasing your chances of getting the best deals. 13. Access blogs and sites about traveling. Accessing more web pages about traveling can provide you with more benefits, especially when it comes to enjoying your trip. Lots of these websites offer important information about certain places you can visit, while you are visiting a particular country. With that, you would be able to plan out your trip better by knowing what attractions to go to, and what places to visit to enjoy sumptuous meals. 14. Sign up with frequent flyer points. Whether you are a frequent traveler or not, signing up for airline frequent flyer points may provide you with lots of advantages. The more points you would be able to rack up, the more money you may be able to save in your future travel plans. Just make sure that your account is duly updated with your frequent flyer points so that you can take advantage of it soon. 15. Never forget checking the expiry date of your passport. Embarrassing moments can be avoided if you are able to check the expiry date of your passport. Thus, it is best if you check it at least a couple of weeks prior to traveling, so that you can still have enough time to renew it just in case. Aside from that, keep in mind that some countries may require at least 6 months left on your passport before it expires, in order to allow you to visit them. When it comes to booking your flights, do not purchase the one that you come across with immediately. Shop around first, until you can find the best deals. Keep in mind that there are lots of travel sites you can book your flights from; and, they are in constant competition against each other, which means that they are trying their best to come up with excellent deals. 17. When to book flights. Flights are always more affordable when you book it months before you travel. However, you can also save more money, if you schedule your vacation during offseason. Research more about your destination, so that you would know when is the best time to visit it, in terms of affordability. Red-eye flights are usually more affordable than the regular ones. However, you need to keep in mind that they are called as such since the travel times fall late at night or even at dawn. Thus, if you are traveling with kids, then this may not be something that you want to do unless they are really up to it. Selecting your flight seats can actually be done days before your actual flight. Although this may depend on the type of airlines you are booking it from, most of them offer seat selection online. Therefore, instead of waiting for the day to take the flight, select your favorite seats online ahead of time, so that you would have the utmost comfort in traveling. 20. Double check the website. If it is your first time to book online, or at a particular website, don’t forget to double check if it is really a legitimate site to purchase an airline ticket from. One way of doing it is to see if its web address starts with “https://” which basically means that it is secure. Aside from that, you should also check out reviews about it. When booking your travel items online, you will need to have a credit or a debit card on hand. It is actually better if you the card is in front of you when you book it since most sites would ask not just for the credit card number. Sites would actually need the last three digits at the back of your card, the name that appears on your card, its expiry date, as well as your billing address. 22. Using credit or debit card. Some people like to use credit cards in booking through the internet, while others want to use debit cards. Keep in mind though that when you use a debit card, it will automatically deduct the money from your bank account. Aside from that, you should also check with your bank if your debit card has a daily spending limit, since your online transaction may not go through if it is more than that. 23. Calling the online travel site. If you want to feel more secure in booking your flight and hotel reservations, you can actually call the hotline number of the site you are looking at. One advantage you can gain from that is the agent may be able to provide you with more options. Aside from that, if you have certain requests for the hotel or flight reservations, he may also be able to process it for you. 24. Take note of the baggage requirements. Prior to booking your flight reservation, you should check its baggage requirements first. In most cases, international flights usually provide you with more baggage allowance than the domestic ones. Aside from checking on the check-in baggage terms and conditions though, don’t forget to read the terms for carry on bags as well. If you booked your flights through the internet, do not forget to print out your itinerary confirmation for it. If you don’t have a printer at your house, you can simply email the confirmation page to your own email address and print it out someplace else. Bring the printed copy of your itinerary, so that you can simply show it to the attendants. 26. Booking through a travel agency. If you are more comfortable in booking through a travel agency than online, then make sure to check the price difference before making the payment. 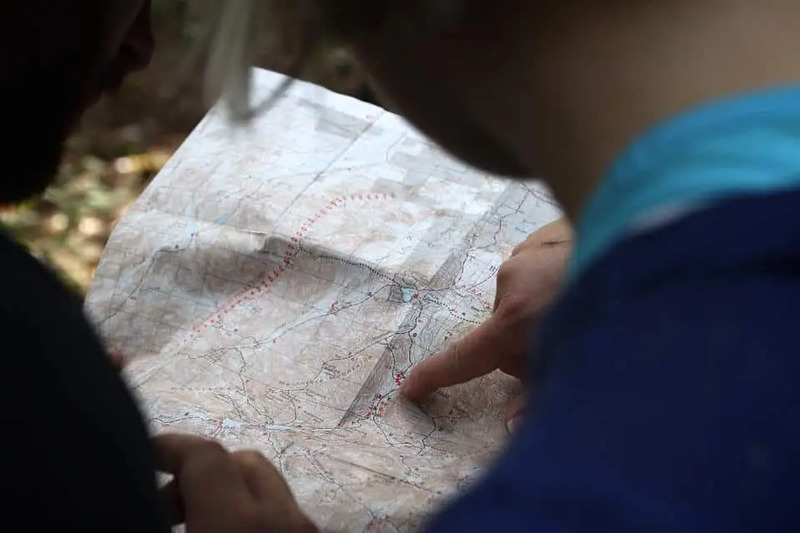 Aside from that, don’t forget to tell the agent about what you want to have on your trip, so that he can set up an itinerary that would suit you best. Moreover, make sure to ask the necessary questions to the agent, since they are usually very familiar about certain vacation spots. 27. While boarding the plane. When boarding the plane, keep in mind that you can actually carry your mobile phone, wallet, and passport with you. It is actually a better idea to keep them in your pocket so that you can easily pull them out when needed. Don’t worry about your mobile phone, since you can always turn it off, just before the plane takes off. 28. Try not to drink alcohol. When traveling on a plane, it is always better to skip the alcoholic beverages for a while. This is because boarding on a plane, taking care of your luggage, minding the weather, can already provide you with lots of stress for the day. Instead of drinking alcohol, drink lots of water, so that you won’t get dehydrated. If you want to avoid Jet Lag, you need to avoid alcohol. Read our 5 Tips for avoiding Jet Lag by clicking the link. Going overseas usually involves very long flights, which is why it is a good idea to wear comfortable clothing. Aside from that, you should also bring a jacket so that you won’t feel cold. Moreover, for women, it is best to wear flat shoes, so that you won’t have difficulties in boarding and getting off the aircraft. 30. Book the seats you are most comfortable with. If your budget allows you to do so, you should book flight seats that you are most comfortable with. For example, if you can afford to upgrade your ticket for a seat that can be folded into a bed, then do it. It is actually better that you are well rested during the flight, since it ensures that you are wide awake when you arrive, instead of feeling groggy. 31. Make safety your priority. In boarding the plane, aside from listening to the flight attendants presentation in using the life jacket, and such, you should also take note of the emergency exits. Count the rows towards these exits, and determine which ones are nearest to you. Aside from that, you should also check out the safety manual, which you can usually find in front of you. Keep in mind that when you ride a plane, you would be exposed to other people’s germs and such. Therefore, you should boost your immune system, by taking your daily vitamin supplement. Make sure that your supplement contains vitamin C and zinc so that you would be duly protected from infections. 33. Be positive, but be ready about the negatives. Although it is best to think about positive things when traveling, in order to maximize the benefits from it, you should still be prepared for some setbacks. Some of which may include flight delays, getting sick, getting lost, and such. Thus, you should always carry cash in small amounts, flashlights, medications, and your cell phone. 34. Convert your money into the currency of the country you are visiting. Days or weeks before you take your trip, it is a good idea to convert some of your money into the currency of the country you are visiting. This way, you won’t get stuck with no local money to pay for the first few expenses you would make after arriving. One example of the expense you may incur is paying the taxi cab on your way to the hotel. 35. Booking the best flight schedule. If you can afford it, it is actually best if you choose a flight schedule that would allow you to arrive in the morning at the country you are visiting. Thus, you should take note of the amount of time it would take for you to get to the other country. By doing that, you can ensure that you would be able to book the best flight schedule. 36. Don’t put all your eggs in one basket. In traveling to a country that you are not very familiar with, it is best not to keep all your money in one location. This way, just in case you get unlucky and become a victim of a pickpocket, then it wouldn’t hurt so much. Aside from that, make sure not to show too much money in public, since you might become the next target for thieves. 37. The number of nights to stay at a hotel. If you are not very sure about the hotel that you are booking, then you should not book it for more than two nights, even if your trip runs for 5 days. This way, you are assured that you have a place to stay for the first 2 nights in the country. Aside from that, if you don’t like the accommodation, then you will have enough time to find another one. When you travel, whether you are going on a business trip or not, you may find yourself chatting with the passenger next to you on the airplane or at the airport. Although this is not a bad practice, you must be cautious when it comes to the information that you give away. Make sure not to tell the other person all your plans or where you are staying, since another one may be listening to take advantage of it. Booking for your hotel accommodations can now be done through the internet. One of the best things about it is that there are several websites, which can offer you fabulous hotel deals. Aside from that, they usually showcase pictures of the accommodations, as well as testimonies that can all help you choose the best one for you. 40. Be mindful of the location. When you book a hotel, don’t just base it on the prices of its rooms or the beauty of its pictures. You should also be mindful of its location. Make sure that it is quite near to places that you are interested in. Aside from that, it should also be near to a restaurant, an ATM machine, convenience store, and a pharmacy. 41. What to do after arriving at the hotel. Once you have arrived at the hotel, you should take a few minutes to relax, and then head out. Visit the nearest convenience store, and buy some snacks and beverages. Stock some of them in your room, so that you would be able to munch on something, in case you wake up in the middle of the night, and feel hungry. No matter how short or long your vacation would be, it is always best to pack light. Bring only the necessary number of shirts and pants, and just wash them in case you need to. Just focus on the most important things to bring, anyway, most of the items you may need later on can be bought in your destination. You can use compression packing cubes to help organize and maximize your luggage space. You can find the best deal on compression packing cubes on Amazon by clicking the link. 43. Make a list of things to bring. Just a week before your trip starts, you should come up with a packing list. Making a list early on can help to ensure that you won’t forget anything since you can always add more into it, whenever you think of other items to bring. Refer to your list from time to time, so that you can make sure that you are able to list down all the things you need. When it comes to packing your clothes, it is always better to roll them instead of folding. This is because rolling your shirts and your pants would prevent too many creases. Thus, it gives you the assurance that you would be able to maximize the space of your bags. 45. Don’t forget to check the weight of your luggage. Checking the weight of your luggage can go a long way, as far as saving up some money from paying airline excess luggage fees is concerned. Therefore, you should make sure that you stay within the limits of the weight restrictions. Use your weighing scale for it, so that you won’t have to deal with these fees. I recommend this luggage weigh scale on Amazon. They are very affordable and will eliminate any surprises at the airport with excess luggage fees. Many travelers have the tendency to change their currency at the airports. Although this is more convenient, you can actually get better rates in other currency changing facilities. Aside from banks, check out other facilities, so that you would be able to compare their rates. 47. There is no need to carry large amounts of cash. When you travel, there is actually no need for you to carry a large amount of cash. Most countries these days actually have cash machines everywhere, which make it more convenient for you to obtain the money that you need. Just make sure to carry your ATM card, so that you can make a withdrawal anytime you need to. 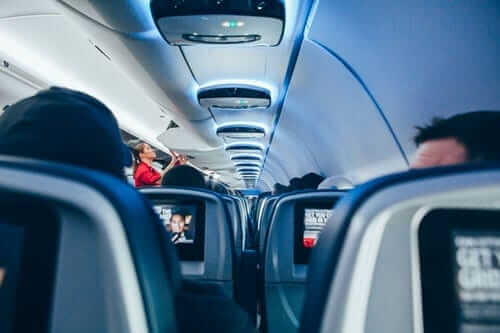 If you are not a frequent traveler, and you are one of those folks who experience air sickness, then choose your airline seats properly. 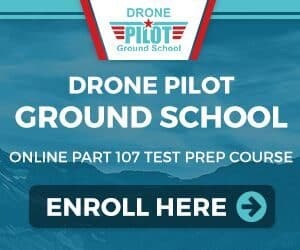 When it comes to that, choose the seats by the wing, or situate it as near to the wings as possible, since it is where you won’t experience too many bumps during the ride. Choose the seats early, so that you would have a good number of them to select from. 49. Be mindful of the airline temperature. Always remember that each airplane may have a different temperature to another. Thus, you should carry your jacket or sweater with you when you take the flight. This way, you won’t have to endure the coldness of the flight, especially if it is a long one. 50. Booking flights with a layover. When you book flights online, you may have a tendency to disregard the layover time. You would usually know that there is a long layover in between flights when the total duration of the flight is quite longer than the other ones. Thus, keep an eye out for flights with longer layover times, so that you won’t be spending too much time in airports. 51. Booking connecting flights together or separately. In most cases, you would be able to save more money if you are able to book all your flights together. Therefore, if your business trip involves flying from one country to another in just a few days in between, then access a site that allows you to book them altogether. If it gets a bit confusing though, don’t forget that they usually have a 1-800 toll-free number that you can call anytime. 52. Bring your own snacks. Before finalizing your decision about a certain flight, check whether it offers an in-flight meal or not. If the flight does not offer it, then you should bring your own food, such as a sandwich. By doing this, you would be able to prevent yourself from paying exorbitant prices for the meals offered onboard. 53. Book a whole package instead of booking them separately. is because, most online travel sites offer more discounts when you book the flights, hotel accommodations, and cars together, instead of doing them separately. 54. Book at a site that has the best price offer. There are certain sites that have the best price offer. This kind of offer simply means that if you find a flight, a hotel accommodation, or even a package, at a different website that is exactly the same but offered at a more affordable price, another site may offer you a cheaper price for it. However, you should take note that, in most cases, this kind of offer can only be availed by calling the toll free line of the site. 55. Being in a country for a shorter period of time. If you are planning to be at a certain country for just a short period of time, then you should avoid foods that you are not very familiar with. You should also stay away from drinks that can get you feeling sick. This is because you may not have time to recover from it before you have to take a trip going home. 56. Learn more about the local cuisine before visiting a certain country. Prior to taking a trip to a foreign land, you should learn more about its local foods. This way, you would be able to determine what types of local foods you want to try out. Keep in mind that a trip to a foreign country would not be completed without trying out its local specialties. If you are allergic to certain things, then you should not forget bringing your own medication for it. Although you can probably purchase antihistamines in the local pharmacies, it is still best if you can bring your own. The reason for this is that it may take you some time to get to the pharmacy. Thus, if you have your own medicine, you would be able to gain relief from your allergies sooner. 58. What to do if you have dietary requirements. There are certain individuals who may have special dietary requirements. If you are one of them, then you should come up with a list of the foods that you can and cannot eat. With a list, you can refer to it every time you eat outside. If you are not sure, then all you have to do is to show the server your list, so that you can prevent eating foods that do not belong to your diet. Hopefully, you found these 58 Top travel tips and advice were helpful. There are always many things to prepare for when traveling, the list is endless. But having some great tips can go a long way in helping you plan your trip, and be mindful of events during your trip.